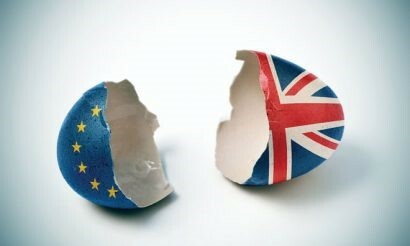 A recent Workshop on Brexit Strategies for British & European Civil Society Organisations, organised by University of Exeter Business School in collaboration with CORE Coalition and the European Coalition for Corporate Justice has shed light into the potential implications of Brexit for the non-profit sector. The discussion revolved around lobbying strategies, post-Brexit relations with European partner organisations, funding and legal implications. The risks and threats identified were rather worrying, but a few opportunities were also noted. Perhaps the most imminent threat following Brexit is the possible reduction of NGOs’ already scarce resources. Many civil society organisations operate within very confined limits due to lack of funding. Following Brexit, European funding may no longer be available to UK NGOs, while domestic funding might be redirected. The threat goes both ways; some European NGOs are significantly funded from UK sources. For instance, 60% of ECCJ’s funding is obtained from UK trusts. Perhaps the funding from such trusts might be awarded instead to national civil society organisations but this cannot be known for certain. When considering the role of civil society in a post-Brexit UK, some participants articulated the need to rethink their approach to issues and perhaps even their mission. While the aim and purpose of civil society can be preserved, enhanced collaboration could be a way to address Brexit threats in relation to the resources and impact that civil society will have. Valuable alliances could be formed with trade or migration-related organisations, creating a multi-level approach to issues and increasing impact. At the political level, it was noted that the UK will lose considerable influence over policies impacting it, such as EU trade policies. With this in mind, it was suggested that alliances with other European organisations such as those in France and Germany are important and could be utilised to enhance the UK’s civil society voice on the European agenda. Concerns were also expressed regarding the Great Repeal Bill which will repeal the 1972 European Communities Act and provide for EU law to be transposed into UK law. The main worry is that the Bill will delegate power to Ministers to amend legislation without parliamentary scrutiny. At this stage, it is not clear precisely how EU laws will be transposed in UK law, namely, though primary legislation or secondary legislation which can be easily repealed. The extent to which UK would be free to depart from EU regulatory standards on labour, environment, consumer or business-related issues is unclear, as are the terms of future trade deals. This uncertainty represents a threat but also an opportunity for UK civil society to engage with the government and parliament to promote enhanced human rights standards in trade deals. Perhaps the most valuable message of the workshop was the need for organisations to be brave and to explore existing opportunities to engage with the government, parliament and contacts abroad to push for more favourable agenda for the country, individuals and civil society. If the EU has been a key driving force for standard-setting, civil society must adapt and identify ways in which it can encourage the UK government to set higher standards of its own accord.